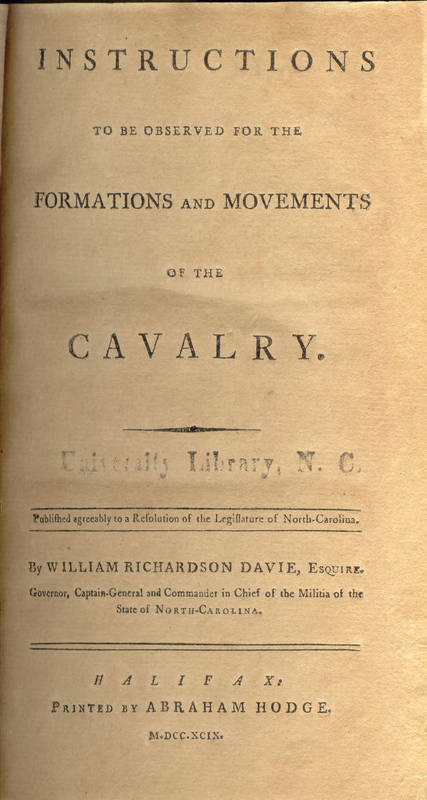 After graduation, Davie studied law in Salisbury, North Carolina, and in December 1777, briefly joined a local patriot militia. After the British landed in the South, he commanded cavalry units that conducted raids on British forces in North and South Carolina. In 1780, General Nathanael Greene appointed Davie commissary general in charge of securing food and supplies for American army in the region. Davie continued that duty until Cornwallis surrendered at Yorktown in October 1781.